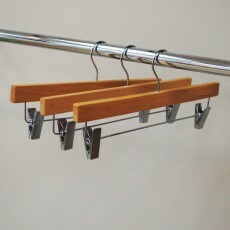 Browse our entire range of clip hangers, available in wood, metal and plastic. 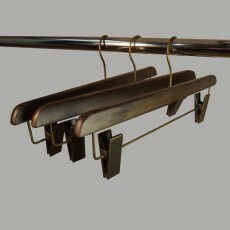 Our clip hangers are ideal for trousers, skirts and lingerie featuring vintage and contemporary styles equipped with sliding clips and moulded rubber inserts designed to support and protect your clothes delicate texture. 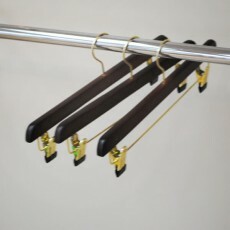 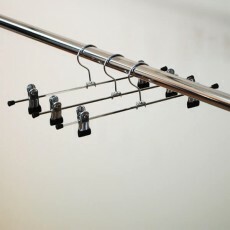 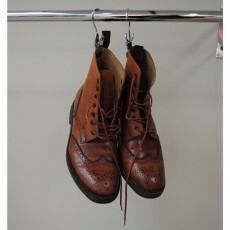 The useful sliding mechanism means that you can hang all sizes with ease. 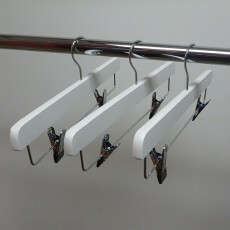 The clips are both strong and durable to ensure any clothing will stay in place. 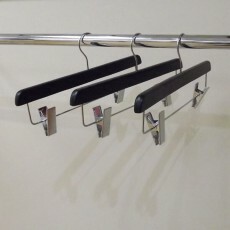 Click here to view our entire range of clothes and coat hangers.